So we’ve focused quite a bit on art museums which I love because if I could be an artist I would be, but my scale is never quite right and the color gradations always off, so I mostly appreciate ART and leave the creation to others more talented. Growing up in the Chicago suburbs, I visited the museums regularly (The Art Institute of Chicago, The Field Museum, The Museum of Science and Industry were my favorites) and developed a deep love of museums and the stories behind the exhibits. I love museums that focus on history, even more specifically on the history of a particular person. 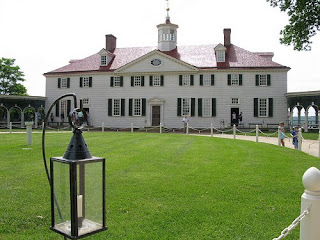 My first introduction to this, or at least the one that lingers in my memory, is visiting Mount Vernon, George Washington’s home on the Potomac, during my 8th grade school field trip to Washington, DC. I can still picture his bedroom with the giant four poster bed, white linens, with a book and a pair of spectacles resting on the bed. It was fantastic to stand in his bedroom, the father of the American Revolution and wonder...what would have happened if he’d chosen any other path? Wandering through his home, seeing how he lived and worked, thinking about his place in history really had an impact on me. I love docent talks, thrilled to be soaking up all that knowledge of the people who lived and worked in the homes. Lately, I’ve been on a kick to visit the shrines to the muses of writers. There are several pretty cool ones in the Bay Area. Eugene O’Neill’s Tao House is an experience. Atop a hill overlooking a valley, you have to take a bus to reach the house which nowadays isn’t that far from civilization but when he lived there it was in the middle of nowhere. Neither he nor his wife drove so they relied on day servants who did their marketing and shopping (no UPS delivery back then!). They were for all intents and purposes very isolated. When he wasn’t writing, O’Neill was quite a traveler and the art and collected memorabilia from his travels is fascinating. He was also an entertainer, although a somewhat reluctant entertainer according to reports. An absolutely wonderful part of the tour is the glimpse into his writing process. He wrote every day. By long hand. Totally jealousy inducing is the placement of his office, off of his bedroom and closet. To reach his office his wife and servants had to travel a gauntlet of three doors and the house rule was that if any one of the doors was closed: DO NOT ENTER. The other museum is in the Jack London State Park in Sonoma, California. London was actually a frustrated farmer who wrote in order to feed his dream of a sustainable, working farm. The museum is housed in the simple farm house where he lived and worked and entertained. He loved to have people come stay with him. As with O’Neill, London was an avid traveler. His farmhouse is full of furniture and accessories from exotic places. His office looked out over the farm and had a little cot where he often slept while he was working. London also wrote every day, insisting that no one bother him until he’d gotten in at least 2000 words (again by long hand). London differed in that he would write anywhere, outside on rocks, out near his man-made pond, in his office. Once he’d written his words for the day, he’d joyously entertain until late at night. Learning about their every day life, their process and their pain has been great inspiration to continue writing and living life in order to inform my work with authenticity. Lisa, I love these kind of historic home and site museums, too. One of the things I remember vividly from childhood was the Polynesian Culture Center on Oahu. I didn't get to Mt. Vernon and Monticello until I was 17. When I lived in Philadelphia during Round 1 of grad school, I added a dose of Civil War battlefield and their museums, as well as any place that demonstrated historical ways of life. I can't believe I've still not been to Williamsburg. You can bet my nieces and nephew are going to get dragged there as soon as they're old enough to marginally appreciate it. Oooh. I didn't know about the Jack London museum. And it's so close! I must go. 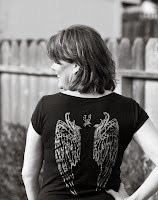 LGC--I would love to visit the Civil War battlefields. We didn't get a chance our last time back East but I fully expect to go someday. Sophie--I love that picture. It was such an interesting tour. Lisa--love that thought about authenticity. Would love to hear what you think of the Cartier-Bresson exhibit. His photos in China are so remarkable for what isn't allowed on camera, what they weren't allowed to say. Now there's a back story I'd love to dive into!! !